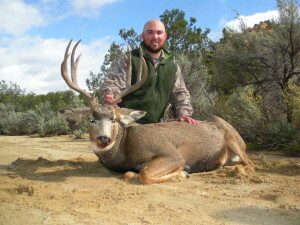 Unit 2B guided mule deer hunts in New Mexico will have you into strong numbers of deer most years. With about a 150-170 inch average on dry late winter years and as high as 170-180 inches in 2B on premium weather years. This is a great historic unit here in New Mexico with great draw odds. 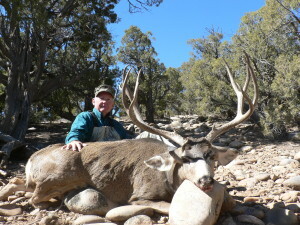 This unit offers wonderful hunting but does require a migration of deer from Colorado to be at its best. 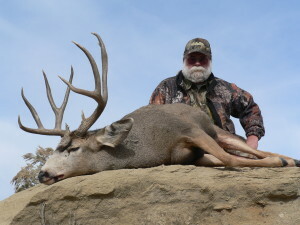 You have 3 rifle hunts here to choose from, the best hunt is the last of the three. This late hunt give you the very best opportunity to take advantage of the migration of deer into the area. We enjoy the early hunts as well and have a number of guides who work in the oil-gas industry behind the locked gates here allowing you to know just where the deer are. We have taken a pile of 180-200+ deer in this unit since 1999 with success rates being driven by the weather conditions and migration. 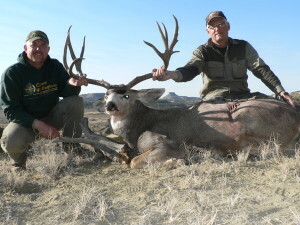 Winter bow hunts are one of the best hunts in the western US for monster mule deer with your bow. Please feel free to talk with me anytime about these great hunts or to call me if you have drawn a tag on your own. Muzzleloader hunts are a little tough in this area, call me about the muzzleloader hunts before you apply or if you have drawn a tag.